The government will withdraw the contentious Right to Fair Compensation and Transparency in Land Acquisition, Rehabilitation and Resettlement (Amendment) Bill, 2015, during the Budget session that begins on Tuesday. The ministry of parliamentary affairs has listed the Bill for withdrawal in its list of business for the session. The government had attracted much criticism for its attempts to amend the 2013 land law, with Congress Vice President Rahul Gandhi and other opposition leaders painting it to be ‘anti-farmer’. As a compromise, the Bill was sent to a committee of Parliament. Most respondents, including allies of the Bharatiya Janata Party, had criticised some provisions. 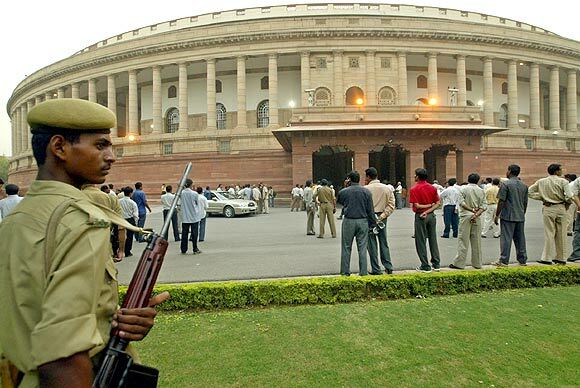 Anticipating little likelihood of the Rajya Sabha, where the government is in a minority, passing the Bill, the government had asked state governments to push through amendments to their own. But, the Prime Minister and BJP have increasingly tried to showcase the ‘farmer friendly’ policies of the government in the last few months. The government has announced a crop insurance policy and the PM has been addressing ‘kisan’ or farmer public meetings across the country. The withdrawal of the Land Bill is another step in this direction.